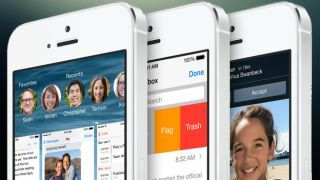 Apple has pushed out the third iOS 8 beta version to registered developers with the latest iteration serving up the iCloud Drive platform alongside a juicy nugget of information on its functionality. The Dropbox-like service will apparently allow users to store and access any type of file from iCloud.com, according to a 9to5Mac report. That's in addition to the access offered on iOS 8, Mac OS X Yosemite (which also had a new beta version today, introducing the 'Dark Theme') and the slightly-surprising inclusion of native Windows support. The addition of web-based access will give Apple fans more flexibility and give iCloud Drive the ability to match up with rivals like Dropbox, Google Drive and Microsoft's One Drive facility. Outside of the additions of iCloud Drive to iOS 8, the latest beta version doesn't give too much away. There's a new on/off slider for the forthcoming Handoff feature that lets users easily pick up work on other iOS and OS X devices, while the Find My Friends app was also updated. iOS 8 is expected to land in September alongside the launch of new iPhone 6 models. There are likely to be several more beta versions before the finished article arrives. Android L vs iOS 8: What's different?